Hiking - Scenic loop offering views of Saginaw Bay and an interdunal pond. 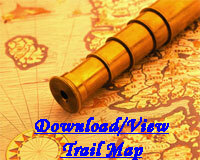 Excellent wildlife and dune vegetation viewing can also be seen on this trail. Cross Country Ski - Portions of this cross-country ski trail are groomed.